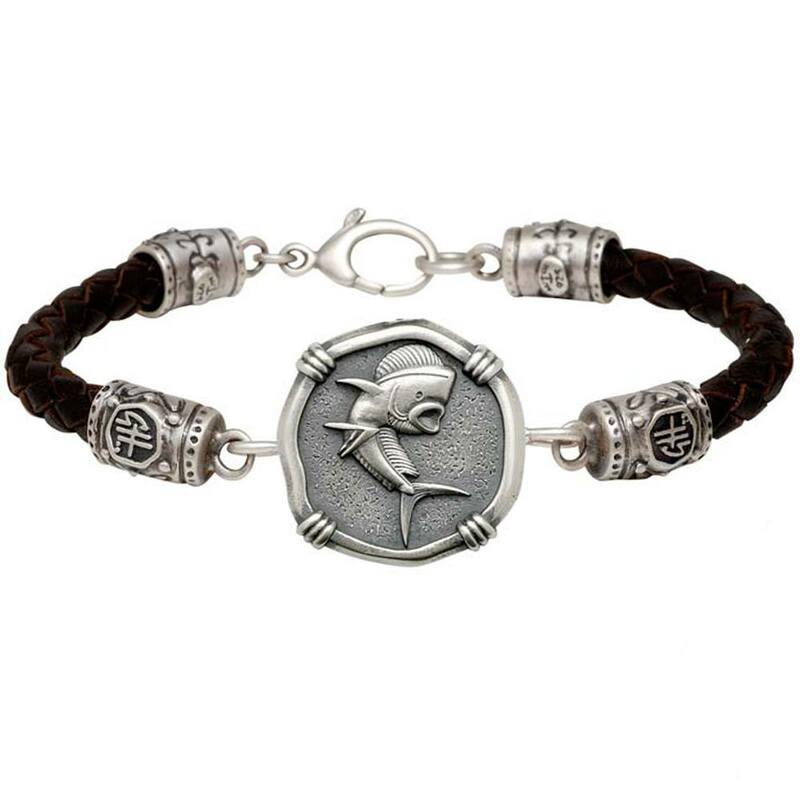 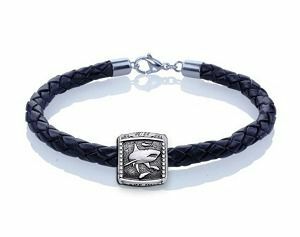 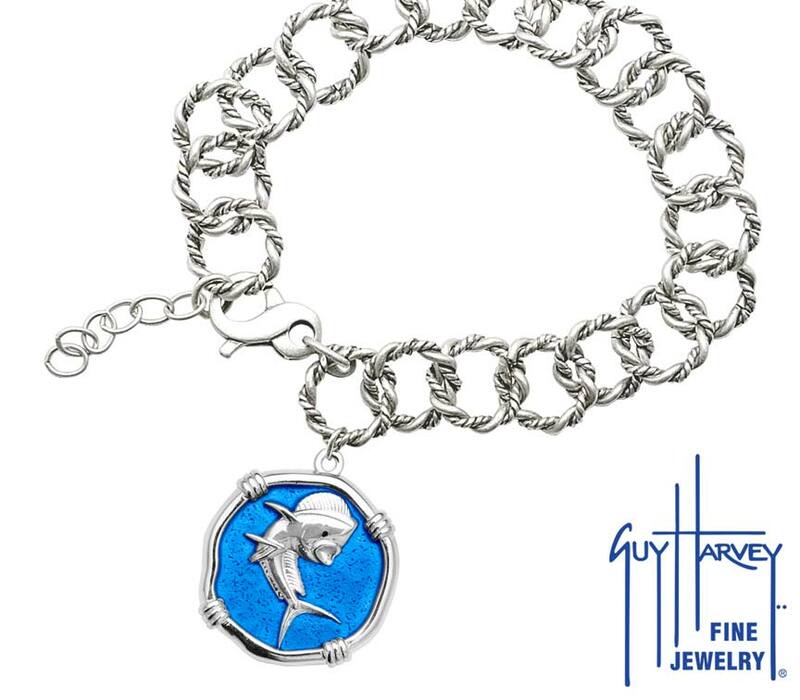 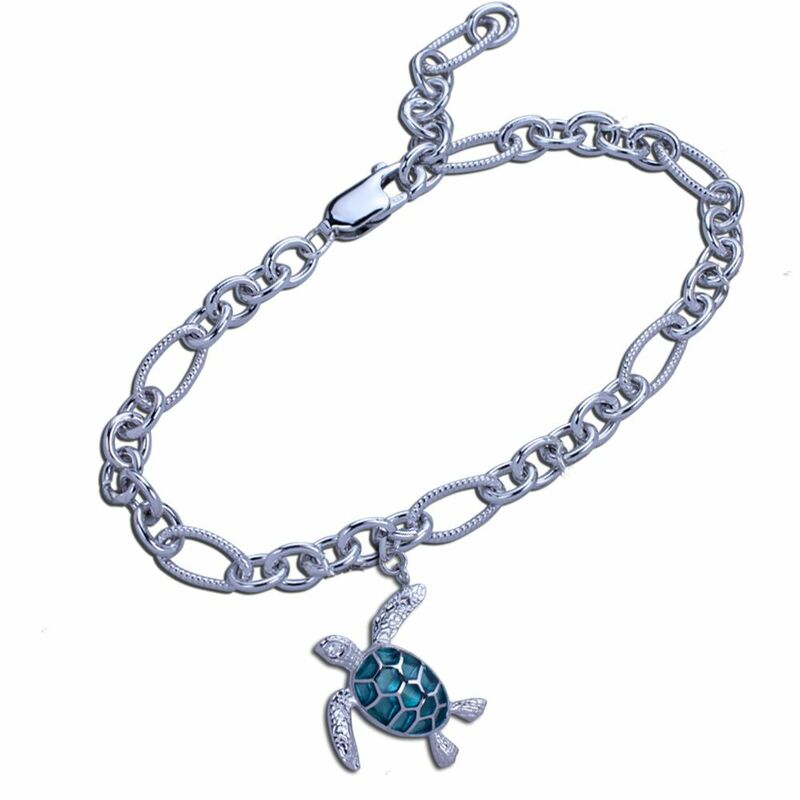 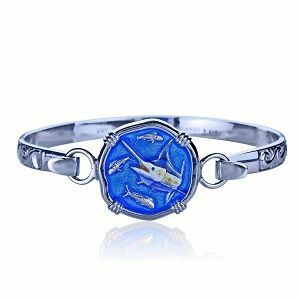 The Guy Harvey Sting Ray bracelet is adjustable by placing the lobster claw clasp and your desired length. 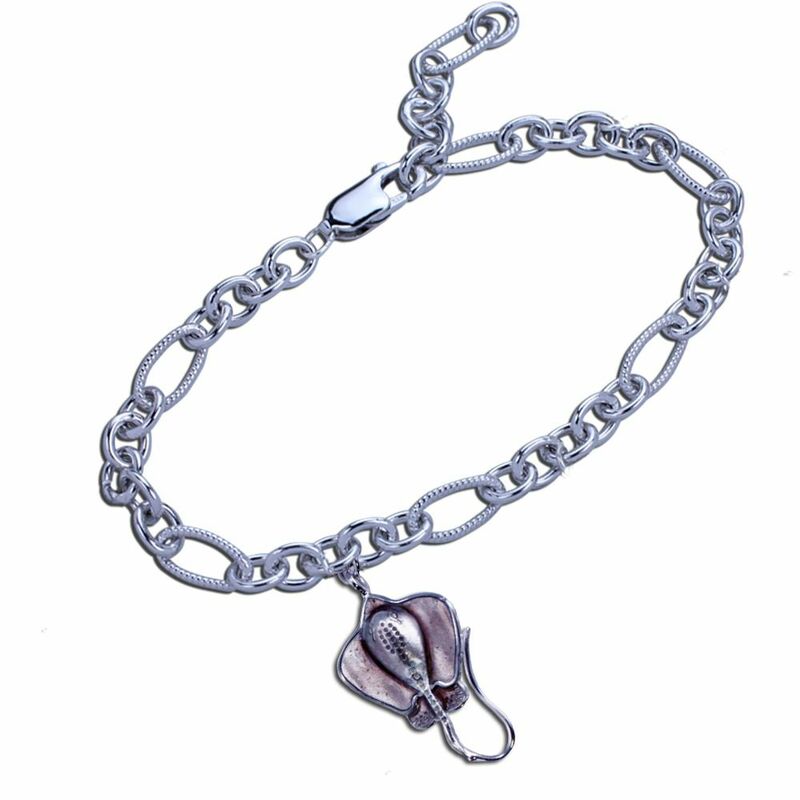 Can be worn as long as 8 inches. 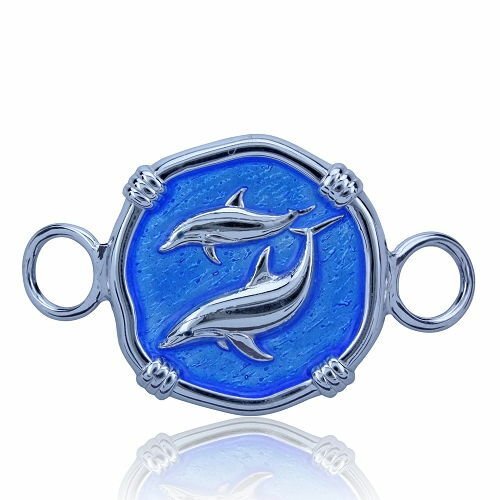 Made in hard fired enamel and sterling silver.